presents a radically new approach to contemporary living in a tropical environment. Instead of creating a cluster of isolated, vertical towers – the default typology of residential developments in Singapore – the design proposes an intricate network of living and social spaces integrated with the natural environment. Thirty-one apartment blocks, each six stories tall and identical in length, are stacked in a hexagonal arrangement around eight large-scale open and permeable courtyards. The interlocking blocks create a vertical village of both shared and private outdoor spaces on multiple levels. 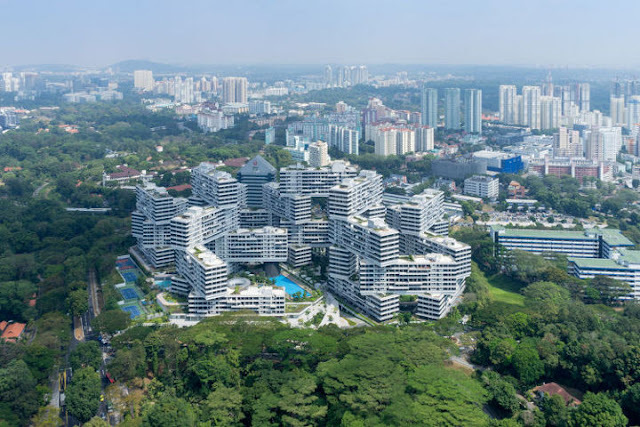 While maintaining the privacy of the individual apartments through the generous spacing of the building blocks, The Interlace creates an interactive network of outdoor spaces oriented around the focal points of the courtyards, reflecting and extending the natural surroundings. The project is located on an eight-hectare site in the verdant Southern Ridges and will complete a nine-kilometer green belt of parks and recreational facilities. Extensive residential amenities and facilities are interwoven into the lush vegetation and offer opportunities for social interaction. With 170,000mq of built floor area, the development will provide over 1,000 residential units of varying sizes, each with unobstructed and varying views over the parks, the city, and the sea. Sustainability features are incorporated throughout the project through careful environmental analysis of sun, wind, and micro-climate conditions and the integration of low-impact passive energy strategies. The project generates ample spaces and opportunities for social interaction and shared activities while also providing intimate spaces of privacy and quietness – simultaneously fostering a sense of community and maintaining individuality and identity. 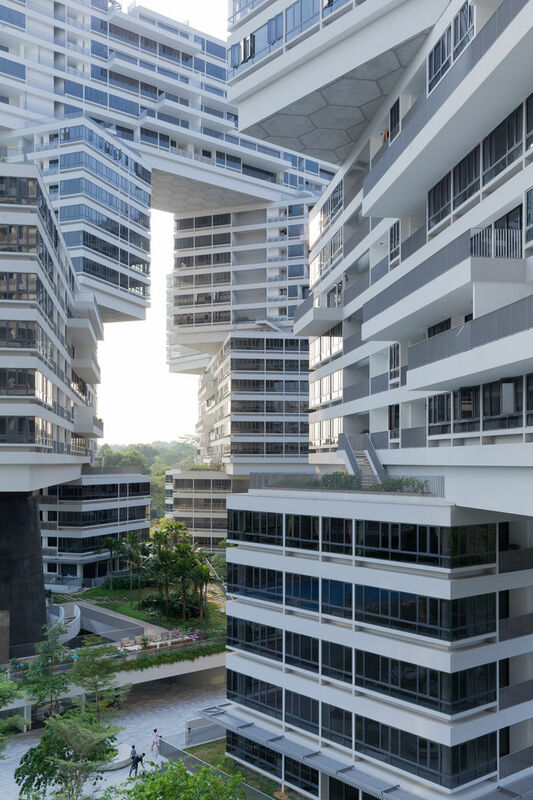 The Interlace development - by OMA - was named building of the year at World Architecture Awards. 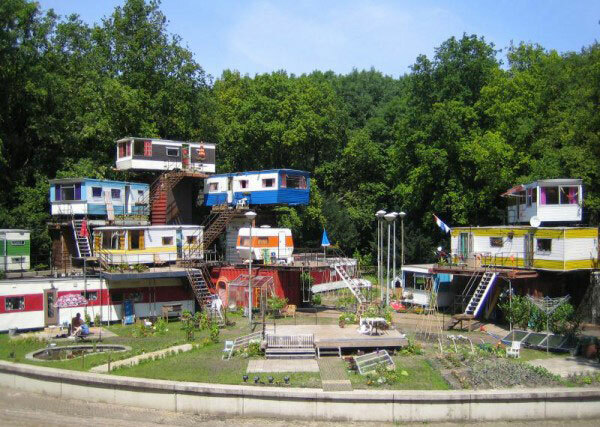 Following, a surreal creative alternative called The Redneck Mansion - More here.